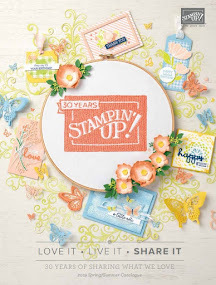 So the fabulous Ann from Ann's Happy Stampers set team Happy Stampers a challenge this week. We had to create a Christmas card using non-traditional Christmas colours. 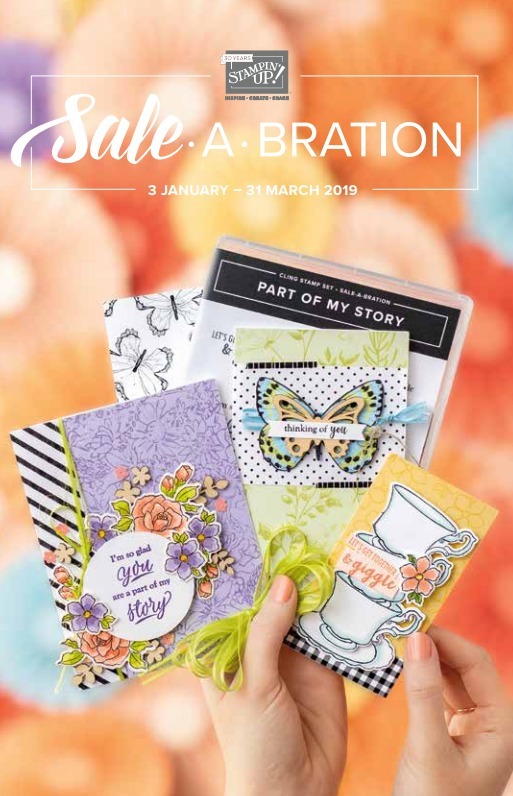 Of course I wanted to join in as I do love a challenge and I came up with this lovely little creation. First of all I just want to say that traditional Christmas colours and what they are was not specified but I took it to mean red, gold, green myself and so I skirted around those and came up with this blue grey and white number. 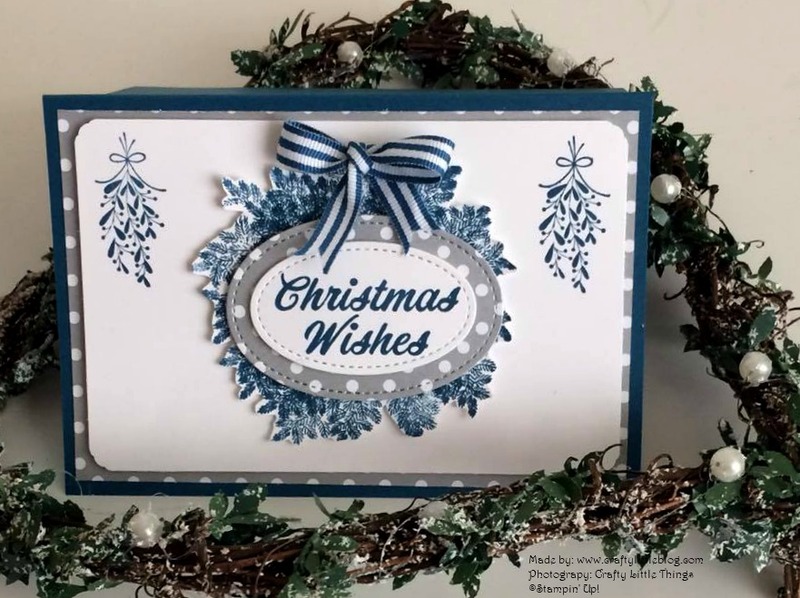 However if you've been out shopping lately the stores are as usual filled with Christmas decorations of every colour imaginable, more than ever this year so perhaps those traditional colours are fading away anyway. So I used a base of Dapper Denim and on top of that I added a retired DSP in Smokey Slate which actually has a very slight sheen to it. I opted to use the polka dot side however it was a close run battle between that and the scripted side. In the end polka dots won because they reminded me of snowfall or snow balls. 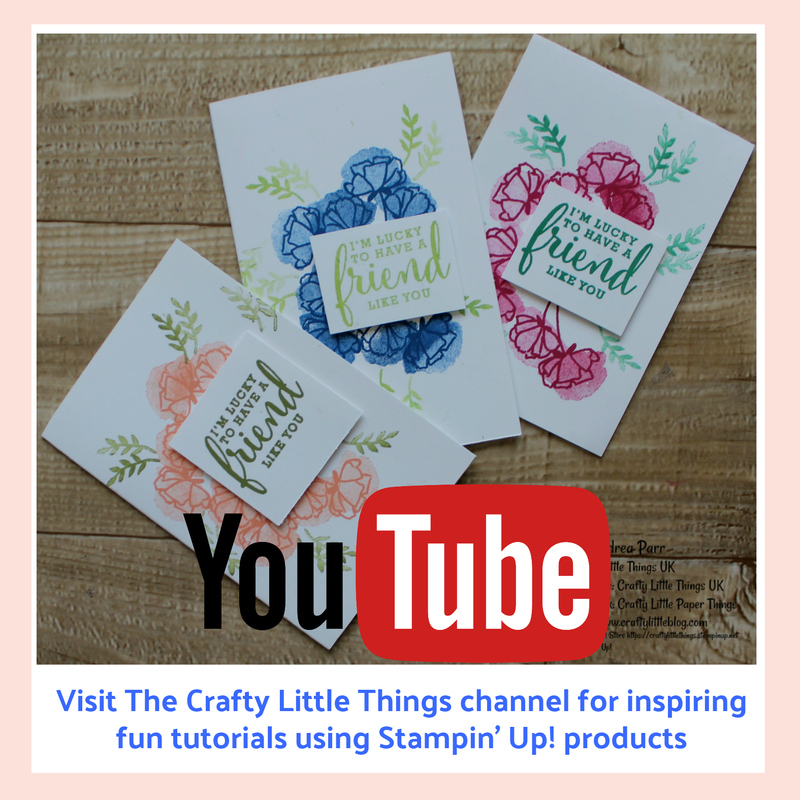 On top of that I added a Whisper White layer which I'd stamped an image onto in the two top corners using a stamp from the Merry Mistletoe stamp set. Again I used Dapper Denim ink for this. 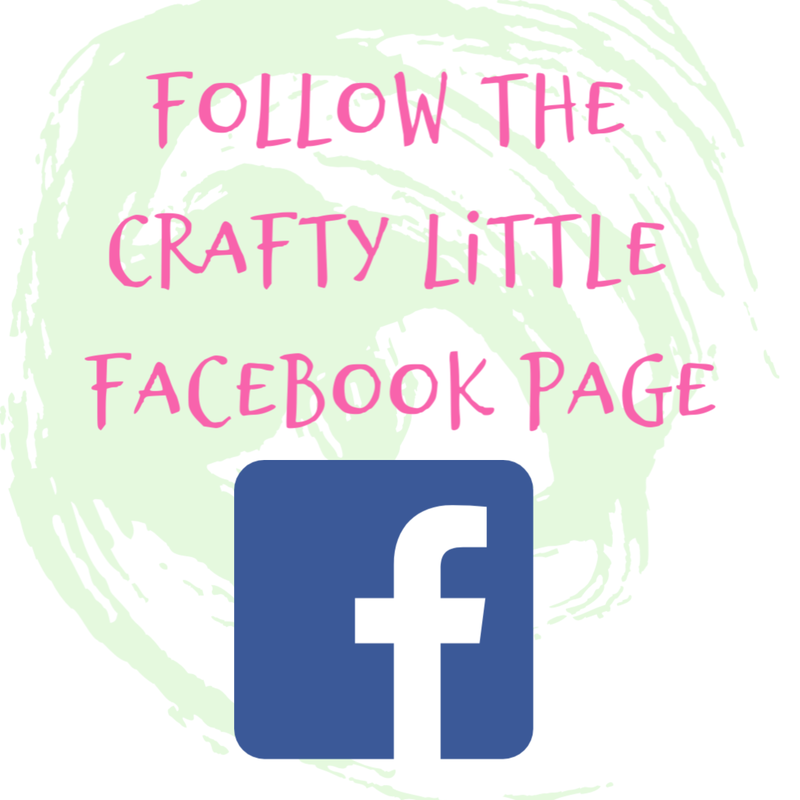 I attached this layer using dimensionals and patterned the corners with a Woodware corner punch. 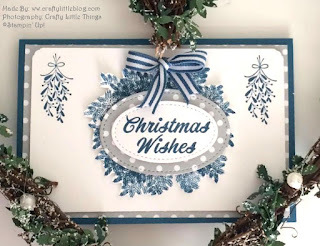 Next I took the Dapper Denim ink and using a small bough stamp from the Wonderful Life stamp set I created a wreath which I fussy cut around and then attached to the white layer with dimensionals. 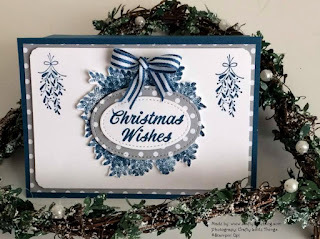 I added a Dapper Denim and Whisper White bow and finished off with a stitched framelits layered sentiment using the same retired DSP and a greeting from the Merry Mistletoe set again stamped in Dapper Denim. 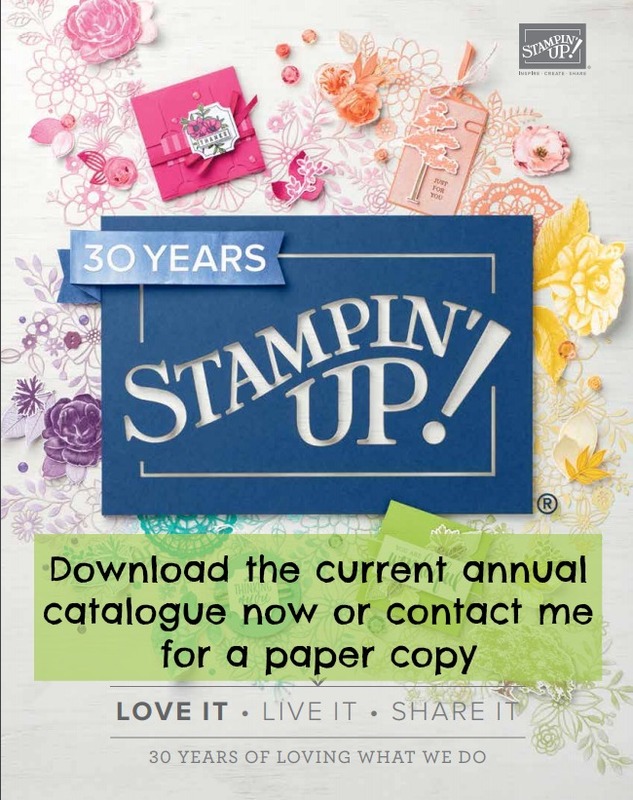 I no longer sell Stampin' Up! 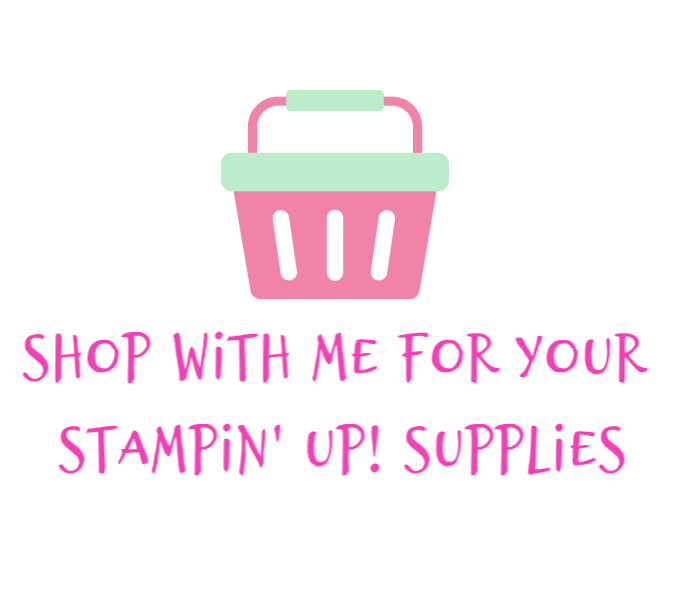 products even though I am a demonstrator and still love the product and still use it exclusively in my business, I don't list what I use any longer other than in the narrative so if you have any Stampin' Up! questions just click on Ann's details above and get in touch, she will be happy to help.